As well as writing about writing on Howling In The Dark I’ll also be saying a few words about various movies I’ve seen over the years. I started a list tonight, quite short at the moment. There will be more but that’s a nice list to begin with. Expect Blade Runner first, in depth, in a few days time. And so it begins, I have a list of all the theatres I could find that either had new writer programmes or read unsolicited scripts. The first two have now been been contacted and, as per the previous post on the matter, here they are named. First up there’s The Live Theatre in Newcastle. They only accept e-mailed scripts with a brief synopsis and biog which was fairly simple to put together. They aim to get back to you within three months which is probsbly one of the better turn around times I’ve seen whilst going over the various sites. Also, Newcastle is really easy to get to from Gretna. Secondly we have Edinburgh’s Traverse Theatre who also have a dedicated team to read unsolicited scripts and do offer feedback if needed. Edinburgh is also pretty easy to get to from here. So the clock starts to tick and the game begins. There are more on the list but I’m concentrating on the ones outside London for now. Give it a few nights though and then we march on the capital. So whilst I’m not in this edition of the magazine at least it seemed to be an invitation to try again and that’s something I fully intend to do. 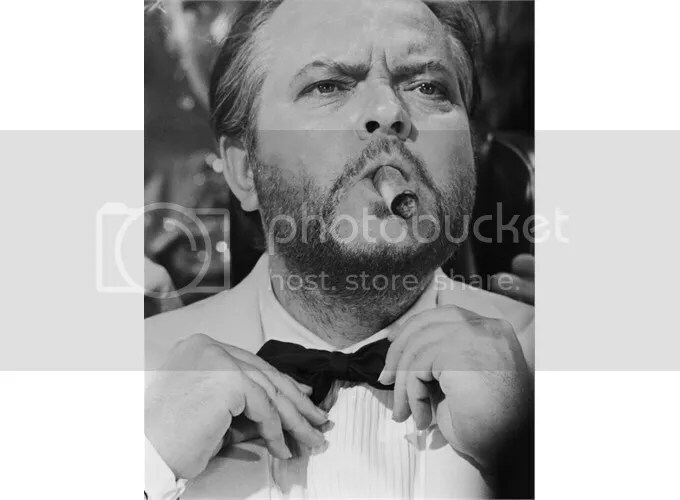 250 words isn’t a lot to play with but then again Orson Welles was happy with six words in the past. ‘For sale. Child’s shoes. Never worn’. This Friday gone, I sat in the front row of the Green Room Bar and watched ‘An Evening Without Henry Barstow’ as it ended its three night run. I knew a few friends were going to be there that night and I was a little bit concerned that was going to be all. Not that I would mind sitting in a room with my friends but it would have felt strange that we were there watching more of my friends perform something I wrote. Attendance had been good on the opening night but then quieter the next night. When I got to the door I was greeted with a small crowd of theatregoers paying to get in. People I didn’t know were paying to get into the show, it sounds crazy but it pleased me no end. The bar downstairs was dimly lit ad playing the Neighbours theme song, all was well in the world. I did a quick headcount of the people in the room and counted thirteen, the maximum capacity was twenty eight. With the show due to start at 8pm the message was passed to upstairs that there were no seats left over and there were to be no more admissions. This news pleased me even more. It went incredibly well, my worries about the story being a little bit repetitive (because it’s single scenes from Barstow productions of old one after the other) were dealt with by the cast very well. The story went along at a fair pace and the audience seemed to be well into it probably as a result of me starting the applause each and every time there was a natural break in the play. People always join in if somebody starts first I find. The audience on the night seemed to enjoy it. I hadn’t told anybody who didn’t know already that I was the writer but it came up on introductions afterwards. A couple of people said that 45 minutes of light hearted comedy would be ideal for Edinburgh but before I dealt with any of that I’d have to rewrite it again to sharpen up the rougher bits and to include some of the jokes that were added by the cast during rehearsals (one of which was the ‘rogering Debbie McGee’ bit). Came in for some flack during ‘Henry Barstow’. I’m unsure at this time if I should go back to it so soon, the run was a fantastic chance to see something I’d written being performed for public consumption. It takes you rapidly out of the small bubble you can sometimes find yourself in when writing, the belief that you are alone and will be the only person to read what’s in front of you. Many thanks to Lexie Ward, Michael Spencer and James Spark for reading, rehearsing and performing it and to anybody else who came down to watch it. I certainly learned a lot from the process which will be adapted for going forward. The best part was that a few people were saying “We’re looking forward to the next one”. The good news is that the next one is already written and it’s part of Project Theatre which we’ll be kicking off over the next few nights. This Saturday past, whilst browsing though the Shooting People e-mail bulletins, I saw an entry which read thus. My names ***** – I’m a film director based in London. I have a strong shorts background and am looking to make my way into features so – would love to read some synopsis’ and treatments, particularly for genre pieces. Looking for suspense thrillers, suspense horror and science fiction. References would include Monsters, Another Earth, Moon, Phone Booth, Paranormal Activity, Buried. High concept ideas that are achievable on a low-budget. I really love the development process and have worked with a number of writers. It sounds really good but alas I have nothing concrete at this time. I’ve been busy writing and rewriting stage plays for the last few months. Stuck away in the notebook however, are a few sketched idea that I was going to move onto next. I could easily sit with them for a while and batter out a synopsis. At this point in a Saturday evening however I’ve had far too much red wine so I decide to test how much he loves development. Just saw your posting on the Shooting People bulletin. I’ve been pretty busy with some theatre scripts at the moment but I do have an idea for a feature script that I could get a brief synopsis together for pretty quickly. Trouble is I haven’t written the script yet so if you are into script development then this would be pretty much from scratch. A day later, I get this response. Thanks for getting in touch. I think I’m probably looking for something a little more developed at this stage though – more at treatment/outline stage at minimum. However, if you do get something together, would always be interested in reading! Not that I blame him, I was chancing it anyway, but certainly an avenue to go down later. Once I’ve sent out word on ‘Seven Lucky Stars’ I’ll be putting together more movie scripts, probably starting with an idea which is currently one sentence on the book right now and was something I considered making whilst in art college but couldn’t get it to work at that time. An e-mail from the director of ‘Henry Barstow’ arrived late last night. The last rehearsal had been performed in front of a handful of people. Whilst they had a good laugh it was agreed that the ending fell flat and as a result the show petered out. Would it be possible to rewrite the ending? Of course it’s possible, even at this late stage. Bear in mind that the show was originally due to be performed in May 2011 but got put back (far back) due to casting issues and the extra time gave me the golden opportunity to rewrite large chunks of the show and make it better. When I look back now I often think that it would have been a pretty lame show if it had been performed in its original form. Minor tweaking now is fine so the ending has been reworked in time for another rehearsal tomorrow. Essentially, I’ve taken out the lines in which the two sensible characters wanted to wrap it up whilst the obsessive in charge didn’t and replaced it with a few more gags. The opening night, just in case you didn’t know, is a week tonight and whilst that’s brilliant I still can’t help but wonder what exactly comes after this. There is another project I currently have being worked on elsewhere, something that I’ve been trying to get off the ground since 2007 in fact, but there’s nothing really concrete just now to write home about that one. I spent most of the day yesterday sifting through various theatre companies to see if they took script submissions with the intention of putting ‘Seven Lucky Stars’ forward. It’s a very similar process to what I’ve done before with TV companies in the past. To my surprise I’ve found that it’s much more receptive to new scripts than TV ever was. Most theatres have some kind of new writer programmes in place and aim to put on new shows, probably because it’s a cheap way of doing it and the risk is a lot lower. TV shows not only cost much more to make but also have to find somebody willing to broadcast it at the same time. I’ll be hawking around ‘Seven Lucky Stars’ in good time because the script is pretty much ready to be looked at to see what they’d want from any probably rewrite. When I’ve blogged before about my writing efforts I always made an effort not to name any companies I was in contact with, I thought at the time this had to be surrounded in some kind of privacy lest the deal not come off and everybody ended up looking a little sheepish. This time around I’m thinking about throwing that idea out of the window and having a running list of people I’m in contact with . If they’re willing to have contact details on their website then they’re going to get a mention. A list shall be posted as soon as I’m done formatting the script. A couple more shots from Wednesday night’s rehearsal of Henry Barstow. Michael Spencer who plays Scott. Currently cursing me for putting too many dates in the script for him to remember. Lexie Ward who plays Patricia and James Spark who plays Derek. They’re in space, hence the big steps. It’s looking really good and that’s without the costumes. They’ve added a fair few parts which work better for the stage. I spent the whole thing laughing before remembering I was laughing at my own jokes. The show is on at Carlisle’s Green Room Theatre Bar. The show starts at 8pm on September 12th, 13th and 14th. The bar will be open from 7pm though and you’re advised to get there as close to 7pm as you can because space is limited to 30 people each night. I am seriously looking forward to this one.